The slug-deterring/repelling paint Schnexagon is an innovation in the field of peaceful slug defense. However, does it really live up to its promises? 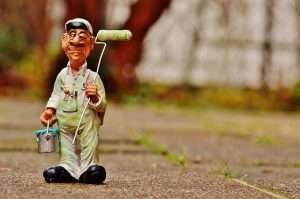 Does anti-slug paint work? How should it be applied? 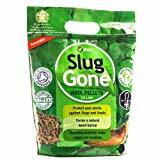 1 Anti-Slug Paint: Are Slugs Losing Their Grip? 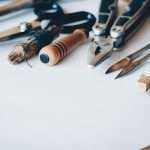 3 How Durable is Schnexagon? Anti-Slug Paint: Are Slugs Losing Their Grip? Schnexagon is a repellent coating intended for the protection of beds and greenhouses from slugs and snails. Special ingredients in the coating deter slugs from climbing over vertical obstacles. At least that’s what inventor and biologist Nadine Sydow claims. 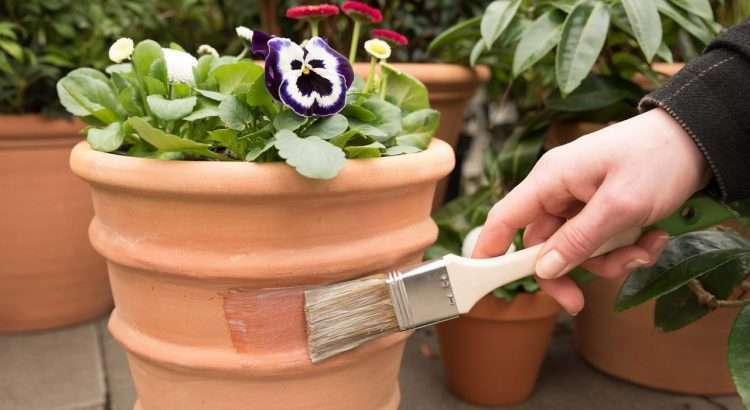 Oils and soaps in the paint prevent slugs from crawling over painted surfaces. 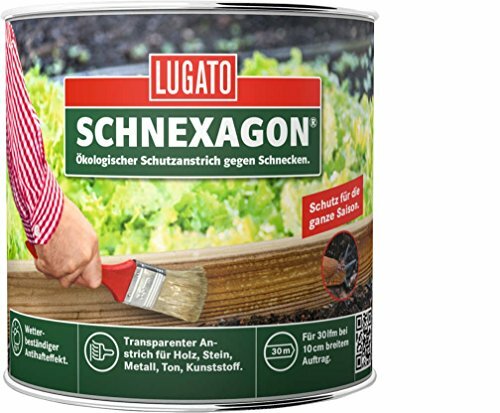 To make it work, Schnexagon should be applied to vertical surfaces: bed enclosures, pots, tubs and all kinds of planters. It works even better when there is a slight inclination towards the ‘snail side’. You only need a small brush. After being left to dry for 24 hours, Schnexagon becomes transparent and almost invisible to the naked eye. Its ingredients are organic and based on renewable materials that are said to be completely biodegradable. 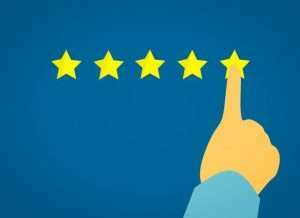 Schnexagon has been certified to high organic standards (Bioland, Demeter). 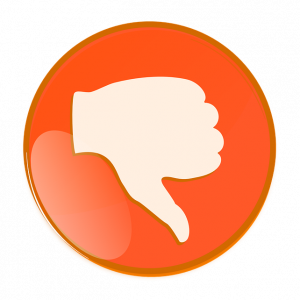 The product contains no attractants or poisons; so, slugs and snails are neither attracted nor killed. They should not be able to adhere to the coated surface, meaning that their free creeping through the garden should come to an end. Since you can never be sure whether manufacturers are exaggerating the functionality of their product, I thought it was time for a field test. So, I painted bricks to the halfway point with Schnexagon. After they had been left to dry for a day, the experiment could begin. I placed the bricks in a U-shape and put collected slugs and snails in the middle. The following video shows in time-lapse what happened. The video demonstrates clearly how slugs and snails try to overcome the barrier. But all of them fail; it was surprising how well Schnexagon worked. Not a single snail or slug could make it over the barrier. They touched the paint and tried to stretch their way over it, but in vain. The anti-slug paint passed the test with ease. The manufacturers claim that the coating would be able to protect the beds for one whole garden season. Even in rainy weather, it should last for about two months before it needs to be reapplied. 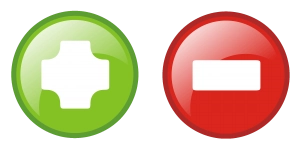 To test the durability dependent on the weather conditions (e.g., UV radiation and rain) further tests are planned. So far, no final statements on the durability can be made. For sure it depends on the weather conditions: the exposure to sunlight and rain. Schnexagon is painted in stripes of about 4 inches (10 cm) in width. 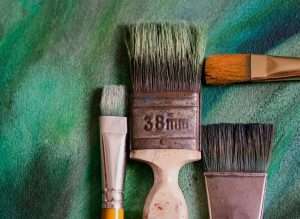 You can use a standard brush and clean it afterwards, as you would when using normal paint. In the experiment, you can see that the slugs try to stretch over it, but only with half of their body length. Apply a small strip of schnexagon around bed enclosures. 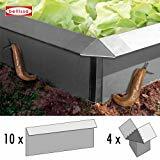 Since slugs and snails usually only grow to about 6 inches long (15 cm), about a 4-inch (10 cm) wide coating should be sufficient. The painted part should not be placed directly on the floor/ground, but a few inches above. Then it’s not easily affected by mud and falling rain, so will last longer. As already mentioned, the painted surface should be placed in a vertical position. 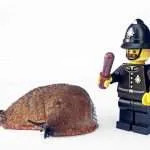 Then even the most stubborn slugs will be deterred successfully. After application, the paint should be left to dry and harden for about 24 hours. During this period, it should be protected from rain and moisture. It is best – if possible – to protect the paint from heavy rain and glaring sun. Then it will last for longer periods of time. 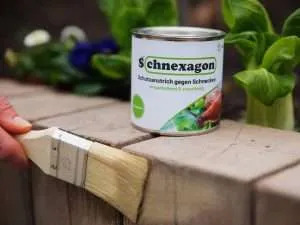 If used in combination with a slug fence or a slug collar, good results should be ensured because if Schnexagon is applied under their bent edge, the paint will be well protected from sun and rain. 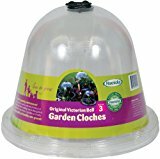 If you use garden cloches with an opening, you could use the paint to block the entrance. One disadvantage of the paint is its sensitivity to rainy conditions. After periods of heavy rain, Schnexagon has to be applied again, which can become time-consuming and costly. 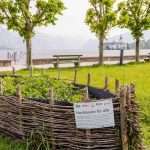 In addition, you can only use it if the plants and beds that you wish to protect are equipped with an enclosure that is vertical to the ground and approximately 6 inches (15 cm) high. If necessary, a suitable bed enclosure must be built before the repellent paint can be used. The main advantage of Schnexagon is its simple application combined with proven protection against slugs – as seen in the videos. No slug or snail must be harmed in an effort to protect plants. Schnexagon is a natural product that does not require the use of slug poisons, baits, and attractants. The paint degrades naturally and can be used in organic horti- and agriculture. For humans, pets, and plants, Schnexagon is completely harmless when used correctly. 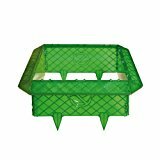 It is well suited to protecting cold frames or raised beds and for blocking the entrances of greenhouses to slugs. 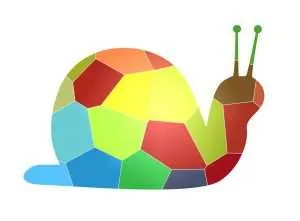 Schnexagon is a method of stopping all slug and snail attacks quickly. Its application is simple and requires only a little time. Schnexagon combines well with other slug barriers. If a barrier is not 100 percent slug and snail proof, it could be enhanced with Schnexagon (eg. slug collars or plastic slug fences). 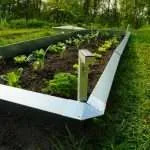 The fact that the product is organic and environmentally friendly allows its application in organic gardens without any problems. 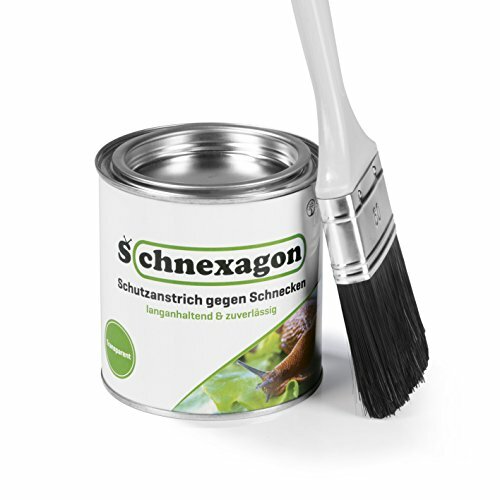 Schnexagon is sold in cans containing around 12oz (375ml) of paint. This amount should be sufficient for about 3 square yards (m²). Since a 3–4 inch (8–10 cm) wide strip is needed, 12oz are sufficient for about 32 yards (30 meters). Depending on the absorption capacity of the surface, the distance covered can vary. If you would like to apply it to a surface that absorbs liquid fast, it can be useful to prime or treat it beforehand and perhaps even stick foil to it. The price per tin/can is about 25 dollars (pounds/euros), so the cost per yard (meter) amounts to around 0.80 cents. Additional costs and labor have to be included if you want to protect a bed that has not yet been enclosed. If you use a plastic slug fence in this regard, the cost will rise to around 2 dollars (pounds/euros) per yard (meter). Schnexagon acts as effective protection against slugs and snails and has no unwanted side effects. 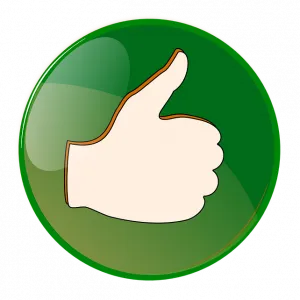 I am therefore recommending it and providing links to the product. It is distributed by Lugato and Solvoluta. The tins look different on the outside, but their contents are the same. 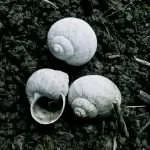 Attract natural enemies of slugs and snails to your garden. 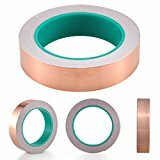 Use copper tape against slugs. Have a look at slug-resistant plants: vegetables and herbs. Slug-resistant flowers and flowering plants: perennials and annuals. 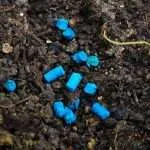 DIY slug control upcycling ideas. Runner ducks against slugs and snails.